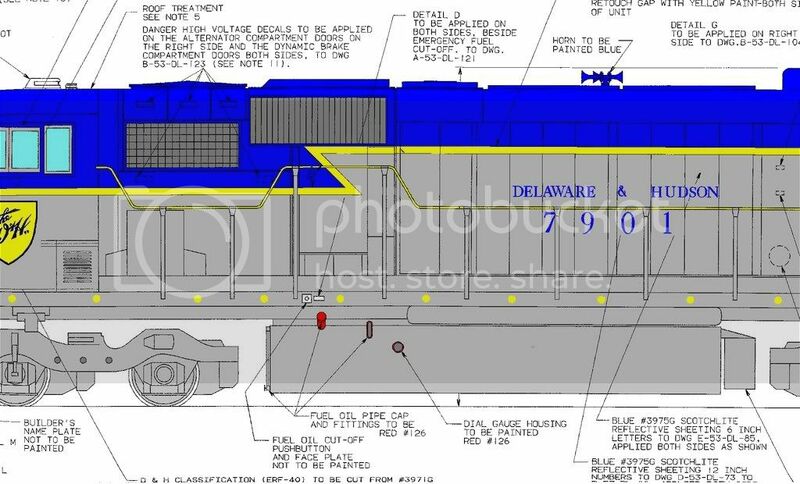 Is it correct that D&H had plans to buy SD60Ms around 1990? If so, does anyone have any info on this? 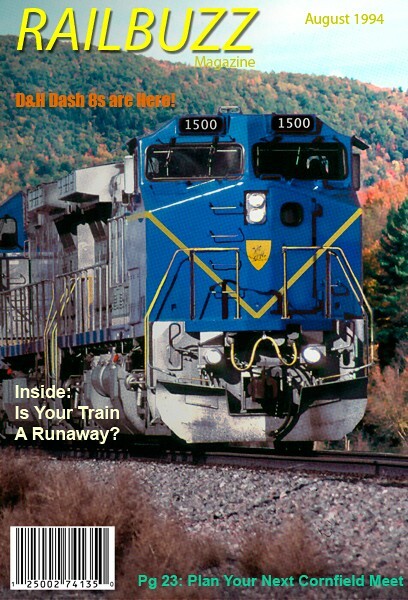 They might have given it some thought, but Canadian Pacific bought Delaware & Hudson out soon after. There were schematics available on eBay some years ago. 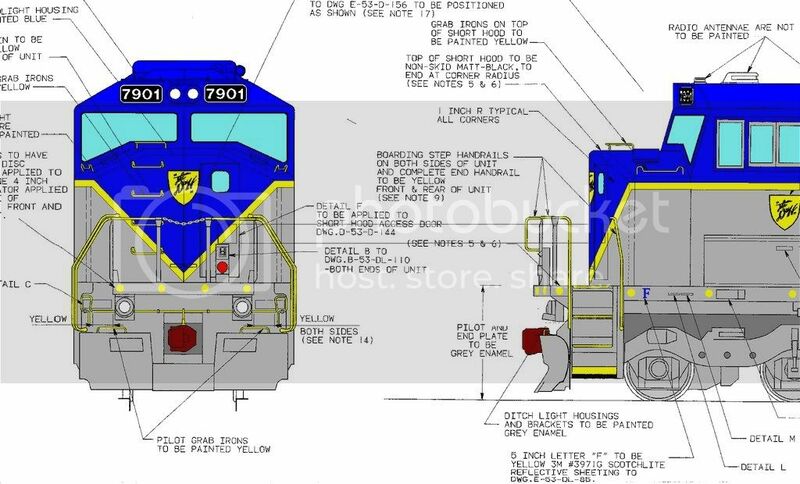 There were 3 schematics, a GP38-2 D&H Lightning stripe, SD40-2 Dual Flags CP Scheme and a 2-Window SD60M in D&H Lightning Stripe numbered in 7900 series. I don't know the whole story, but apparently it was in fact in the plans. I believe it was around 1992. 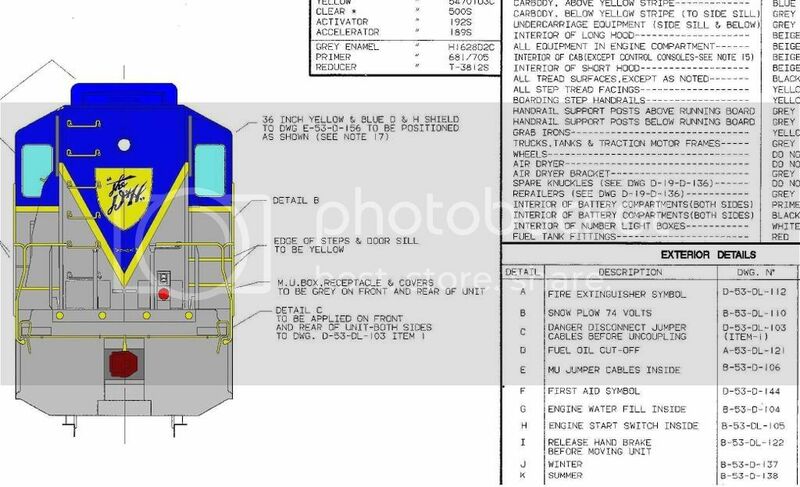 SD60s on the D&H? That would be interesting. Can you use ski masks and Glock 9mms to get locomotives from EMD? I can imagine this happening in EMD's headquarters ca. 1990. "I want two dozen SD60s painted in grey and blue delivered to Albany, NY and nobody gets hurt! Don't make us have to bust a cap in yo a....."
Undoubtedly they would have been financed by the CP at that point. I hadn't heard of this before. Was this planned before or after the CP takeover? 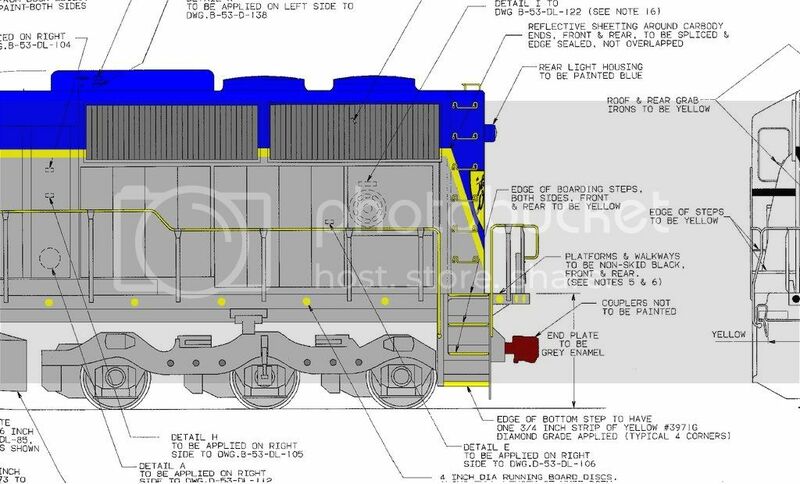 I don't see the D&H having the money to buy new locos on their own, yet I don't see CP purchasing SD60Ms, as they didn't have any themselves. Any idea on how many were being considered? I do not really know the story behind them. I do know SOO has SD60M's, but they already had straight SD60's. So I don't know if the SOO got the D&H's SD60M's or not. I want to say this was around 1992, so it was , I guess, "during", and not before or after, the CP takeover I guess. I know D&H tested SD60 Demonstrators around 1985 or so. It may have been in the works from before the D&H went into bankruptcy. Other than that, all I can tell you is that they were 2 windows, not 3 like SOO, and the numbers were in the 7900's (7901-7950). I seriously doubt even if the D&H had bought any that the would buy as many as fifty. That was just numbering purposes. I have heard rumors that there were shematics for SD40-2's and 8-40B's in lightning stripe livery, but I cannot confirm that. 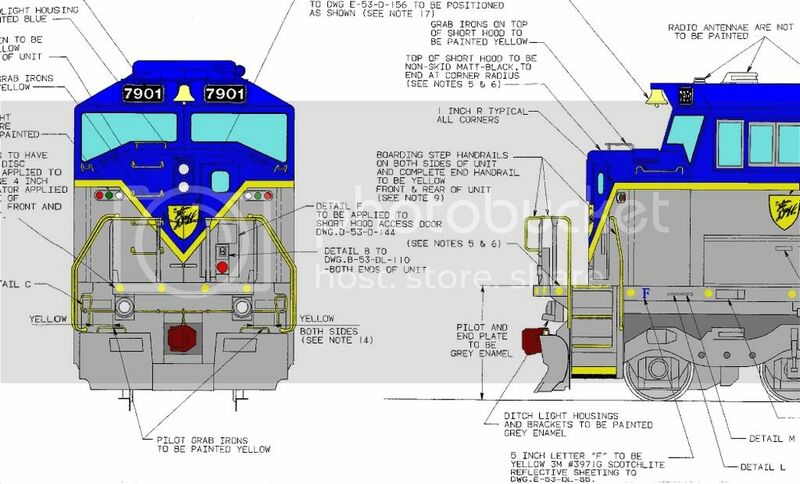 I have seen the SD60M drawings from time to time. Last set I saw on eBay was 5 years ago or so, but I wouldn't doubt that they still pop up on there from time to time. I have yet to hear anyone shine some light on these SD60M's other than what is on this thread, though. It's hard to say what would have happened. I have heard rumors about SD60 orders. I have even heard that Guilford was interested. Instead they bought the used SD40-2 fleet of Southern, UP and KCS ancestry. Many of them were painted for CPR, but they were owned by the D&H. Even some original CP units were reassigned to D&H. Their blue cards said D&H. The SOO SD60 fleet seems oddball. These are the only 710 powered units, except for the SD90MAC. Everything else, at that time was either 645 powered (yes even most of the GP9s were powerpacked with 645 components) or Alco 251. Shortly later GE got in. I'm sure that it made better sense to just expand the SD40 fleet. They could also buy dozens of sd40s for the price of a few new SD60s. Thats a very impressive paint job. Too bad it never happened, but imagine seeing that on the road! The SD60Ms were talked about back in the 90s, however CP RAIL also had new plans for the SD40s to be painted with the D&H scheme. I have an original blueprint dated 1990. Dude! Scan it! Post it! PLEASE!!! Mem160_2000 wrote: I have heard rumors that there were shematics for SD40-2's and 8-40B's in lightning stripe livery, but I cannot confirm that.